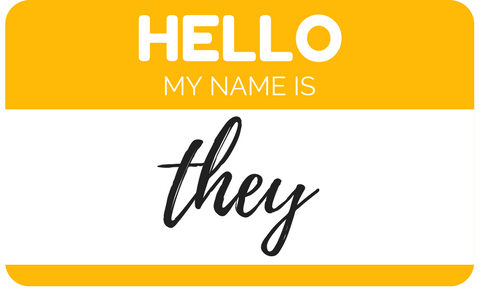 It’s time to embrace the singular they, membership associations. I’ve been calling for the acceptance of “singular they” since I attended my first American Copy Editors Society (ACES) conference in 2015. In that first year, I quickly learned that the most esteemed copy editors are not sticklers for arbitrary rules and instead embrace the changing use of language. While style guides are useful tools for copy editors, they are indeed just guides. This year, at #ACES2017, the Associated Press and Chicago Manual of Style—which announce their changes every year at ACES—opened the door to the use of singular they. The two style guides lag behind the Washington Post, Baltimore Sun and Ben Zimmer of the Wall Street Journal, among others, who have been calling for its acceptance for several years. You might be surprised to learn that the singular they has been in use since the 1300s and was used by Jane Austen, Chaucer and Shakespeare. It’s even in the King James Bible. So why do we know better? Plus, we use singular they all the time when we speak, and we’re also OK with singular you and plural you. Also as important, if not more so, is that some transgender and gender-nonconforming people use the gender-neutral “they” as their personal pronoun. As linguist and English professor Anne Curzan said at ACES, it’s a matter of respect to use it in that case. Huzzah!!!! No more contortionism to be pc in the plural! Elizabeth, right? Huzzah indeed. Now, AP and Chicago do say to write around it when you can, but they open the door and I will skip right in! I don’t think “write around it” is the answer to good writing and editing.